All information, products and services displayed on the bookbazaar.com website constitute an invitation to offer. Your order for purchase constitutes your offer which shall be subject to the terms and conditions as listed below. Bookbazaar.com has the right to accept or reject your offer without assigning any reason thereof. Bookbazaar.com will not be responsible for any damage suffered by users from use of the services on bookbazaar.com. This without limitation includes loss of revenue or data resulting from delays, non-deliveries, missed deliveries, or service interruptions as may occur because of any act / omission of the vendor. This disclaimer of liability also applies to any damages or injury caused by any failure of performance, negligence, defect, deletion, error, omission, interruption, delay in operation or transmission, computer virus, communication line failure, theft or destruction or unauthorized access to, alteration of, or use of record, whether for breach of contract, tortuous behaviour, or under any other cause of action. You are responsible for the secrecy of your Username and Password. You would be solely responsible for all the activities in your account. You also agree that if you provide inaccurate, unauthentic, not true or incomplete information, we have the right to block or suspend or terminate your account. You agree to notify us in case of unauthorized use of/ breach of your password. 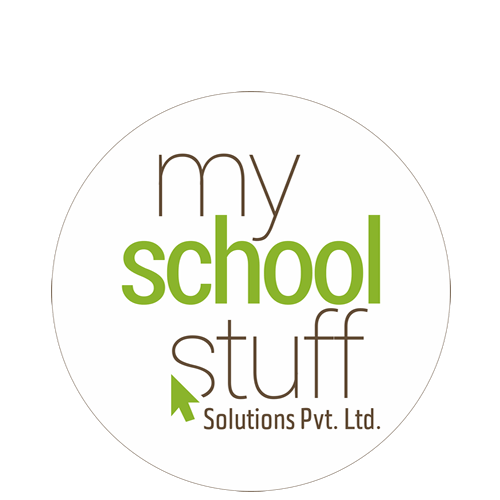 We offer you various functionalities through this website, majorly a platform to fulfill all your educational needs. We try to provide you the information with as much accuracy as possible, but, we do not certify that description of the product or any other content is completely accurate, current, complete or error-free and no liability is assumed for the same. We do sell products for Children, but we sell it to adults only. A parent or guardian may create an account and take the responsibility of all the purchases for their kid, if not older than 18 years of age. The prices and availability of products are subject to change without prior notice at the sole discretion of bookbazaar.com or the Seller. Bookbazaar.com reserves the right to refuse or cancel any order placed for a product that is listed at an incorrect price or for any other reason. This shall be regardless of whether the order has been confirmed and/or payment been received. The payment shall be refunded and the user shall be informed of the same. If a non-delivery or late delivery occurs due to a mistake by the User (i.e. wrong or incomplete name or address or recipient not available) any extra cost spent by Bookbazaar.com for re-delivery shall be claimed from the User placing the order. Bookbazaar.com shall not entertain any complaints after 15 days, once the order is delivered. We do not allow any commercial use of the information on our website that may include gathering of any kind of products description, images or any use of data mining or data gathering tools, among other possibilities. The website, completely or partially, may not be copied, duplicated, copied or sold without our written consent. Prices of the product may change without prior notice. Price as available at the time of placing the order would apply. You agree that all agreements, notices, disclosures, and other communications that we provide to you electronically, via e-mails, satisfy any legal requirement that such communication be in writing. You agree to indemnify, defend and hold us (bookbazaar.com) harmless from and against all losses, expenses, damages and costs, including reasonable attorneys' fees, arising out of or relating to any misuse by you of the content and services provided on the website. All the above terms and conditions are in accordance with India Laws. In case of any issue or disputes, all the cases/jurisdiction would be handled at all the competent courts in Ahmedabad, Gujarat only. In no event shall Company or any parties, organizations or entities associated with the corporate brand name use or otherwise, mentioned at this Website be liable for any damages whatsoever (including, without limitations, incidental and consequential damages, lost profits, or damage to computer hardware or loss of data information or business interruption) resulting from the use or inability to use the Website and the Website material, whether based on warranty, contract, tort, or any other legal theory, and whether or not, such organization or entities were advised of the possibility of such damages.